Ashlee Simpson and Evan Ross Reveal Weird Studio Habits, Spousal Pet Peeves & More! Ashlee Simpson, 34, has returned to music after 10 years, this time with her husband (and Diana Ross’ son), Evan Ross, 30. The making of their soulful EP — I Want You, out Oct. 12 — was documented on their reality show, Ashlee + Evan. The set blends Simpson’s pop-punk roots with Ross’ raspy voice — but they differ on more than just their influences. 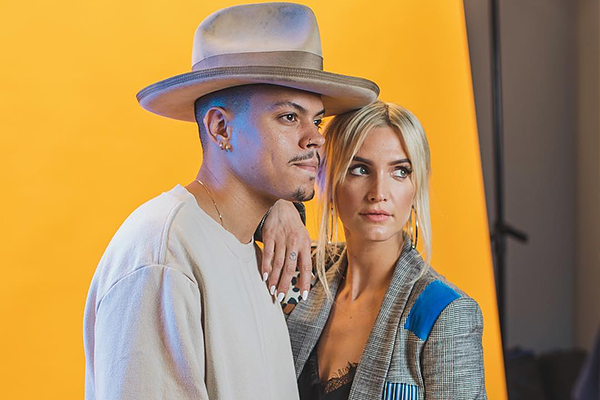 Ashlee Simpson’s first musical project in 10 years is meaningful to her for many reasons — not least of all because she’s singing with her husband, Evan Ross. This fall, the couple — who record under the name Ashlee + Evan — put out a new song each week to accompany a new episode of their E! reality series, also called Ashlee + Evan, culminating in a 6-song, self-titled EP that arrived on Oct. 12. The project allowed Simpson to depart from her pop-punk roots and showcase a more soulful side inspired by her love of Lauryn Hill and Erykah Badu. But most importantly, it offered Simpson a chance to open herself back up to the public eye on her own terms. Simpson and Ross eventually plan to release a full album together in addition to their own individual projects, which they think they’ll eventually take on the road with a joint tour. As they celebrated their EP release, the pair chatted with Billboard about what they’ve taken away from this new chapter, plans for the future and what it means to open up after a long time away from the public eye. When was the first time you two connected over music, and when did the idea of recording something together actually come to fruition? Ross: I think music is what brought us together the first time we hung out. There’s actually a photo of us sitting in the corner listening to music. I think music has always been a big part of our relationship. How has music enhanced your relationship since you started working together? Ross: It’s awesome writing about each other and the experiences we have together. It’s kind of like giving a love note to the person you love every time you write something. Simpson: It was a nice moment — just us and our love of what we listen to, what we like and how we feel. For us, this is not a genre of music. We just wanted it to feel like things that we were inspired by. Have you played the music for your kids? Simpson: Anytime we finish a song, we play it for them. They know all the words. Like yesterday, we were rehearing, and [our daughter] Jagger sits in my lap and is singing every word. Simpson: They never get old! Speaking of the Ashley jams, how do you think this EP is influencing the solo music that you’re both working on? Ross: Even just the process of being in the studio and creating, you start thinking about the story and the feeling you’re trying to create. I’ve heard Ashlee lately starting to get into what that sound might be for her as well as me doing the same. Simpson: It’s really just felt good. Music is definitely in a different place than when I left, so this felt so freeing to just release content every week. That felt so cool and so different for me. I’m in a really great place about it. Simpson: We push each other. He’ll go through a melody, and I’ll go through a melody, and I feel like we really learned to work those together. In the past few years, you’ve kept your family life mostly out of the spotlight. Do you think about where’d you be today if you hadn’t? Simpson: I think I still would have been making my music and still would have been releasing music, whether we did this together or not. I think we both would have. I’m happy we [took a] leave from the spotlight. That moment away from everything was super important for me as a mother. Ross: The most important thing will always be our children and our family, so I think that the added bonus is being able to create music that hopefully people enjoy. Simpson: It was important to show my kids that it’s important to follow your dreams and do what you love. I’m happy to still be able to do that, whatever the outcome is. I’m still enjoying myself, I’m loving everything, and I’m proud of it. Hello everyone! Last night, it was the last episode of the season 1 of ‘Ashlee+Evan’ and this one was really amazing and I am gonna miss it so much. I will post my opinion about it soon on the Ashlee+Evan’s page. Here is the live they give during the show (recorded few months ago). They sang ‘I Do’ and ‘I Want You’. They are amazing. Hello! Here are new sneak peeks of the last episode of ‘Ashlee+Evan‘. Don’t miss this season finale tomorrow on E! at 10/9c. Plus, Ashlee and Evan appears on ‘Hello Magazine’. They look so beautiful! Love you @traceeellisross!! The season finale of Ashlee+Evan is tomorrow night on E! at 10/9c! New Sneak Peek of Ashlee+Evan, First tour dates & Live on ‘Good Morning America’! Hello again! Here is a new sneak peek of the last episode of ‘Ashlee+Evan‘ which will air on Sunday on E! at 10/9c. Plus, we have the first tour dates of Ashlee and Evan, more will come soon. Ashlee and Evan were also on ‘Good Morning America‘ today to perform ‘I Do‘ for the first time on TV, they sound amazing! You will find a video of their interviews and their wonderful live! New sneak peeks of the last episode of ‘Ashlee+Evan’! Hello! Here are two new sneak peeks of ‘Ashlee+Evan‘, the second one is so adorable! Ashlee+Evan : Season Finale & clips from last night! Hello! Here is the trailer of the last episode of ‘Ashlee+Evan‘ which will be aired on Sunday 14th, 2018. Find also some clips from last night’s episode. Ashlee & Evan for Daytime! Hello! Here is an interview of Ashlee and Evan for Daytime talking about their show, music and family. New sneak peeks of ‘Ashlee+Evan’! Hello! Here is new sneak peeks of the next episode of ‘Ashlee+Evan’. Their new song, ‘I Want You‘ is out since midnight, I really love this song. Everything is perfect once again! Listen/buy it here. 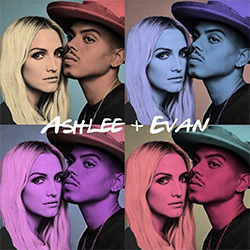 Plus, they revealed that their EP, ‘Ashlee+Evan’ will be released next Friday (October 12). It won’t be an album after all. Ashlee’s birthday & bloopers of Ashlee+Evan! Hello everyone! Yesterday (October 3), it was Ashlee’s birthday and her friends/family posted many pictures of our favorite singer and actress. You will find them on the gallery. 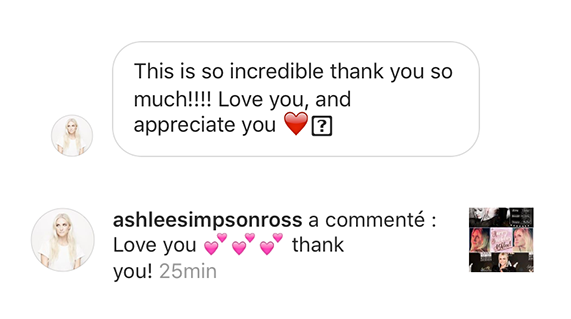 Plus, good news, Ashlee saw our video for her. She answered to me twice on Instagram! Finally, discover the bloopers of the promo of Ashlee+Evan. They are so funny! 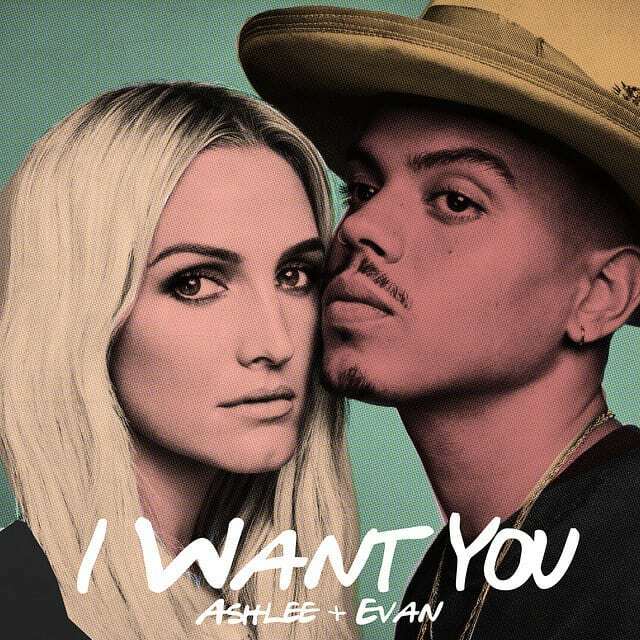 Plus, find a new sneak peek of the next episode of ‘Ashlee+Evan’ Don’t forget that at midnight, we will have a new song of Ashlee and Evan which is ‘I Want You’.